Shin Splints is a common usage term for pain felt along the inner or outer border of the tibia (the shin bone). As it is not a diagnosis, it only describes the symptoms and not the actual cause of the problem. The cause is inflammation or irritation to the muscles and sometimes the bone where the muscles attach. Other possible causes of pain in these regions could be stress reactions (damage to the outer layer of bone), stress fractures (damage through the bone) or compartment syndrome (swelling of the muscles). These other causes are much less frequent but may develop if the original shin splints are not treated. The cause of both Anterior and Posterior Shin Splints is usually due to an overuse of the muscles that attaches to the shin bone. They have, however, different reasons for developing. Anterior (outer) shin splints affect the muscles in the outer aspect of the front of the shin. This type of shin splints is common at this time of year (early autumn) as many people start their preseason fitness training and increase the amount of running they do. This is often on hard summer grounds. It also comes about with the change into football boots which the lack of support and cushioning that trainers have. 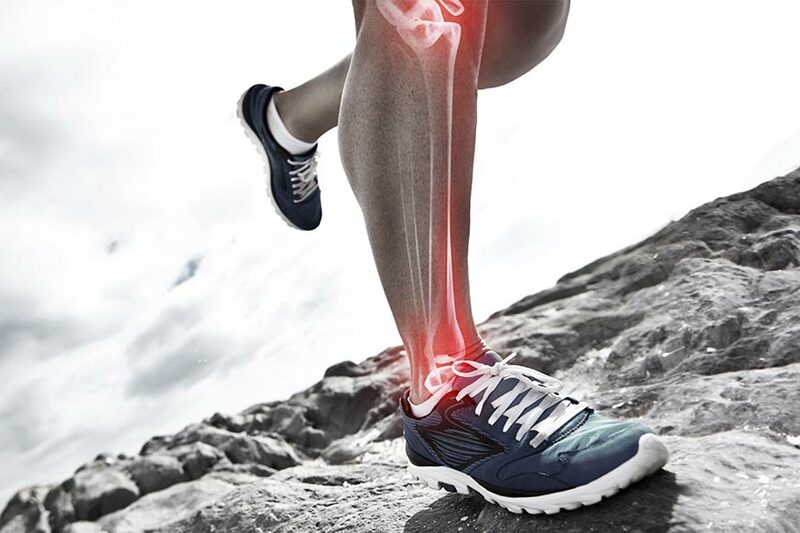 The main symptom of anterior shin splints is pain along the front and outside of the shin. Initially this pain will only come on towards the end of a run but as it gets worse it will become more frequent and start earlier. In some cases it may be there even with just walking. The muscles will often become sore to the touch. Treatment includes modifying your training intensity, ice massage, stretching your calves and strengthening you front shin muscles. Your physiotherapist can give you advice on how to do these. The symptoms can also be helped by using ice massages after activity. Posterior (inner) shin splints affect the muscles in the back and inner part of the shin. This type is more commonly seen through the whole season, but is often brought on during a tournament situation where an athlete plays multiple games in a short time. Poor footwear (lack of arch support) is often a factor. Posterior shin splints are more due to biomechanical problems (how we move) and muscle weakness. Unsupported arches and weak hip muscles result in the knee rolling into the middle of the body resulting in a jarring and over stretching of the muscle. The pain produced by this type of shin splint usually starts along the inside of the lower leg, and worsens when a runner rises up on the toes or rolls the ankle in, especially landing from a jump. Progression is similar to Anterior Shin Splints with increasing pain and local tenderness. Modifying training load again is an important factor in recovery. Arch supports, though either orthotics or short term strapping can helping the early stages, and also when returning to full activity. Ice massage can also be effective short term. Exercises to strengthen the injured muscles and also the hip muscles are very important in both recovery and prevention of future problems. Previous: Previous post: Weight Training for children and adolescents – Is it safe?